NOW IN BLACK, BROWN & BLACK WATERPROOF! Younique (the lash authority) has a brand new kind of mascara. With Younique Epic Mascara all it takes is one step to get the amazingly pumped up lashes you want. 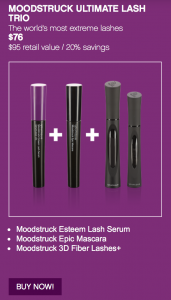 Clinically proven to add more volume, length and curl to even the tiniest eyelashes. Younique Epic Mascara is a fiber-free formula that won’t flake off and it’s buildable so you can go as big as you want! 2 NEW YOUNIQUE EPIC MASCARA FORMULAS IN BLACK WATERPROOF & BROWN AVAILABLE NOW! For a look as timeless as you are. Younique Epic Mascara is a multi-effect wonder, adding proven volume, length, and clump-free curl. The specially designed brush features intermingling high and low density bristles that grip lashes at their root, maximizing definition and volume, and the tapered tip allows for defining and thickening even your tiniest, hard-to-reach lashes with precision and control. 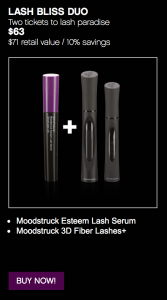 This easily buildable formula also acts as the perfect first step for our Younique Moodstruck 3D Fiber Lashes+ for the most extreme eyelashes ever. 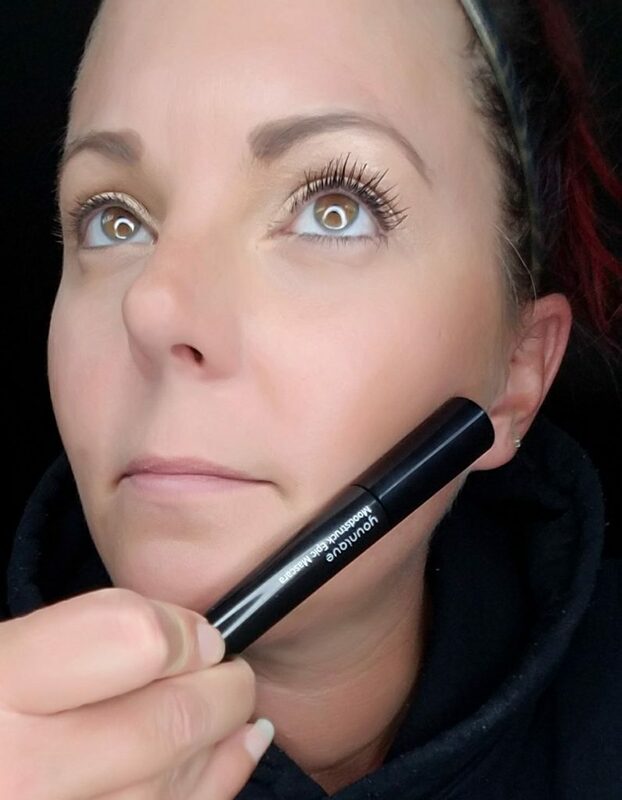 Younique Moodstruck Epic Mascara Application Instructions: Place brush at the root of your lashes and gently sweep to tip. Apply second coat for maximum effect. 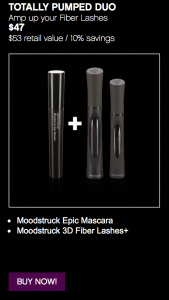 To use with Moodstruck 3D Fiber Lashes+, apply a single coat of Epic Mascara, wait thirty seconds until dry, then follow with the Gel/Fibers/Gel process of applying 3D Fiber Lashes+. My Younique Epic Mascara Review: The day I received my order for this product I could not wait to try it. 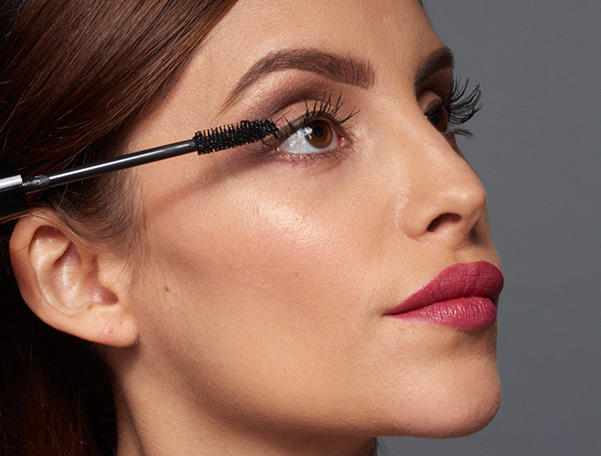 I immediately washed and dried my face and applied the new Epic mascara as you would any normal mascara. I like to wiggle the wand as I apply because I feel like it helps me get a better more even coat. I could not believe the difference it made you could already see it was adding length and the color is a very nice dark black which I need because I have blonde lashes. This is a fiber free formula so I was surprised at how well it was able to lengthen. I loved one thing about Younique epic mascara the most, it curls as you apply it! I no longer need to use a curler or blow dry my lashes in order to get a nice curled appearance. You can get away with just one coat but I personally think 2 coats makes a much bigger difference and really gives you Epic lashes. I put Epic mascara to the test and slept in it all night, I didn’t have any eye irritation, I didn’t have much flaking and it looked pretty good in the morning. It also washed off very easily in the shower with just soap and water. 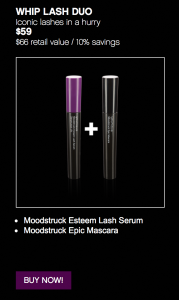 Younique Moodstruck Epic Mascara is in my opinion the best mascara Younique has ever had and it is also the most affordable which is a huge plus. Younique Epic Mascara Ingredients: Water/Aqua/Eau is a solvent used as a base for most formulas, and helps to distribute other ingredients evenly over the skin.Cyclopentasiloxane is used as a conditioner, delivery agent, lubricant and solvent. Beeswax/Cera Alba/Cire d’abeille binds the formula to keep from separating. Copernicia Cerifera (Carnauba) Wax/Cire de Carnauba is an emollient and stabilizer and comes from a palm tree native to Brazil. Alcohol Denat.I s a solvent. Palmitic Acid acts as a skin conditioner. Nylon-12 helps control the texture and viscosity of the product. VP/Eicosene Copolymer is a film former. Stearic Acid is an emulsifier that keeps the product from separating. Triethanolamine is a pH adjuster and buffering agent. Acacia Senegal Gum is a thickening agent. Polybutene a polymer used as a viscosity agent.Phenoxyethanol conditions hair and skin. Polyvinyl Alcohol is a polymer. VP/VA Copolymer is a film former that adds to the texture of the product Aminomethyl Propanediol is a pH adjuster.Polyquaternium-10 is a hair conditioner Ascorbyl Palmitate is a source of Vitamin C known for its antioxidant propertiesEthylhexylglycerin conditions skin. Argania Spinosa Kernel Oil is also known as argan oil and is known for its hair and skin conditioning properties. Biotin is a water-soluble vitamin that’s part of the vitamin B complex group. Prunus Amygdalus Dulcis Oil is almond oil and is known for skin conditioning properties. Ricinus Communis Seed Oil is a skin conditioner. Sodium Hyaluronate is naturally present in the skin and the body. Its greatest capacity– to hold water–enhances the appearance of dry skin, helping to reduce flakiness and restoring suppleness. Glycerin a type of alcohol that conditions hair and skin.Panthenol is also known as Vitamin B5 and is known for its skin conditioning properties. Propylene Glycol is known for its skin conditioning properties. Hydrolyzed Keratin is a skin conditioning agentPotassium Sorbate helps to preserve the product. Biotinoyl Tripeptide-1 is a hair conditioning agent. Iron Oxides (CI 77499) add color.